Formerly known as Transcricións Paleográficas de Obras Medievais, the objective of the project “Corpus of Ancient Texts of Galicia” (Corpus de Textos Antigos de Galicia or COTAGAL) is the (multiple) edition of works of literature and documentary prose produced in mediaeval (9th to 15th century) and modern (15th to 18th century) Galicia. Three types of access to texts are offered: (1) In palaeographic transcription, which can show (allo)graphic variation in the text and with options to show or omit original abbreviations. (2) A critical edition of the text with standardisation and redistribution of spelling variation that is irrelevant from a scriptolinguistic viewpoint and addition of suprasegmental indications of graphic segmentation, accentuation, punctuation and so on. (3) A facsimile reproduction of the manuscript. The resulting texts have several uses: for historical studies of scripts and spellings (1), lexicographic, literary or historical research (2) or pictographic studies and checking for alternative readings (3). The long-term aim is to make all such materials available on-line and, eventually, to lemmatize them. 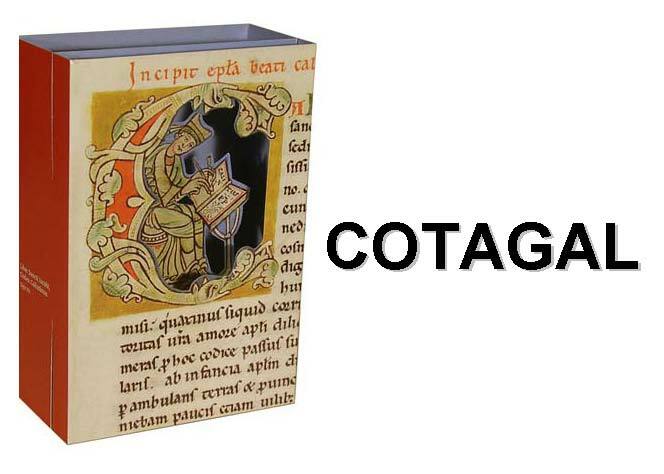 COTAGAL is concerned chiefly with Galician texts but also covers Latin, Castilian and Portuguese texts produced within Galicia. A range of materials are currently undergoing codification and edition including several sets of documents (e.g. Santo Estevo de Chouzán, San Finz de Cangas, San Xoán da Coba, San Paio de Antealtares), collections of letters (e.g. Santa María de Sobrado dos Monxes, Confraría de San Xoán Bautista de Pontevedra), individual bodies of mediaeval and modern documentation (AHSPA, ACS, AHUS, AHN) and a variety of literary works (e.g. Historia Troiana, Xeral Historia). As a member of Rede Internacional CHARTA (Corpus Hispánico y Americano en la Red: Textos Antiguos), COTAGAL also works with Galician and hybrid Galician-Castilian documents of the thirteenth to nineteenth centuries.